The South has birthed a major hip hope voice coming from the sounds of 5ive Ft Giant, born and raised in Knoxville, Tennessee. 5ive brings a unique blend of soulful, southern hip hop with an added street edge that both inspires and entertains listeners. 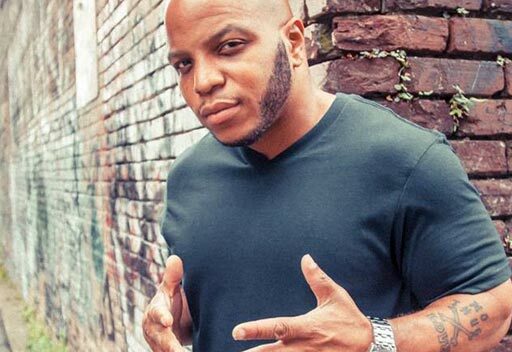 5ive Ft began his career writing and performing his works as a kid in school, which led to his adult career as a fully established, local hip hop phenomenon. He later caught the attention of the platinum rap music group, Bone Thugs and Harmony, which opened many doors and the Giant begin traveling, recording, and performing with hip hop music greats, including E40, Outlawz, Tony Toni Tone and many appearances on projects with other R&B legends. The sounds of 5ive can also be heard on numerous movie soundtracks, including Columbia Pictures' "Half Past Dead." As he has continued to expand his reach, 5ive Ft Giant not only grasps the ears of fans through recording, but also has a dynamic stage presence. 5ive Ft stays focused on his love for the craft of music, wearing many hats in the industry. He is the owner of his own independent music label, Day 1 Music Group, where he manages and direct the careers of other up and coming artists. 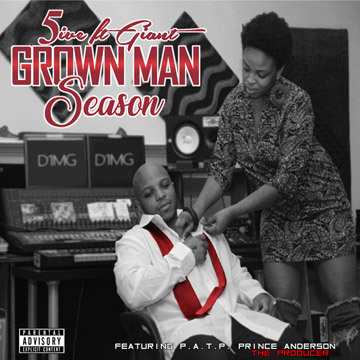 He also continues to give us those words and sounds that the true hip hop lovers tend to crave, while releasing his latest project, "Grown Man Season" via Warrior Records.